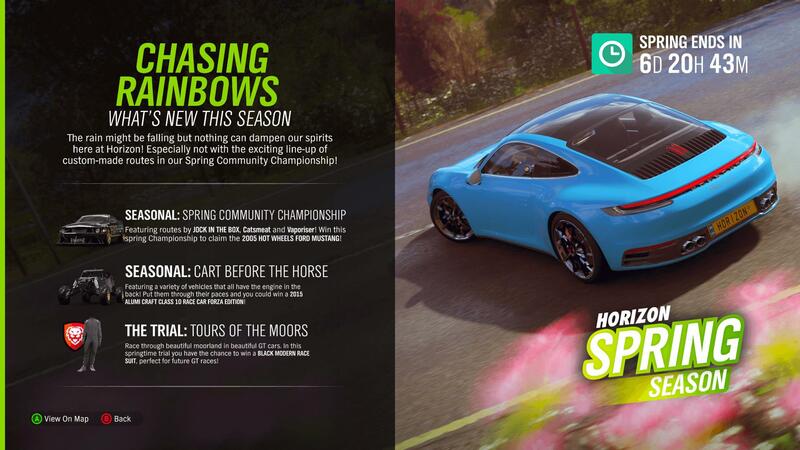 Spring has arrived into Forza Horizon 4 to mark the final week of Series 5 content for Horizon Life. As always, there’s new cars, events and challenges to discover in Britain over the next seven days – including some classic automobiles from Ford and a Hot Wheels fan-favourite. Whether you’re here for the latest Seasonal Championships or eager to explore a refreshed Britain after the snow and ice of Winter, Forza Horizon 4 has it all for you to discover this week. Spring introduces a fresh, crisp atmosphere into the world of Forza Horizon 4’s Britain. The snow and ice have melted as trees, flowers and shrubbery begin to flourish across the landscape. Expect large puddles of water, as well as wet, deformable mud in the forests. There’s also pops of colour across the British landscape as well, with wild flowers blossoming across the woodland, accompanied by tall lush grass and yellow buttercups. You’ll even encounter groupings of lambs scattered across fields before they mature into sheep during the Summer. Forza Horizon 4’s weekly seasonal changes are designed to allow players to always have new content to discover with each passing week in both beautiful, historic Britain and the standalone Fortune Island experience. 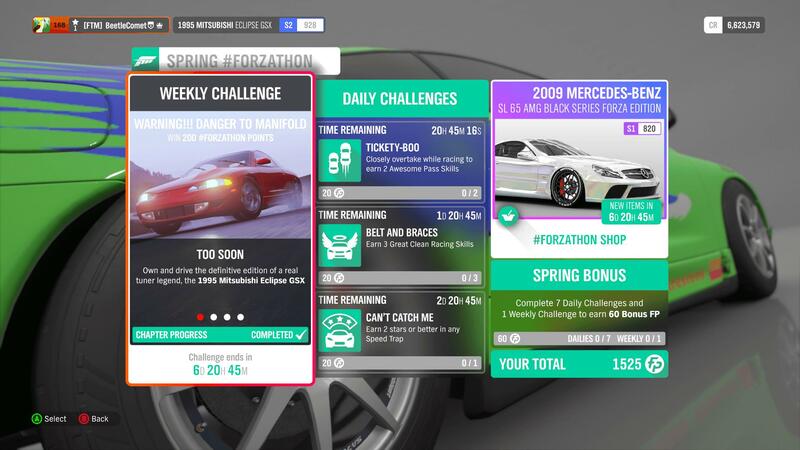 As a reminder, the seasonal change in Forza Horizon 4 occurs every Thursday at 2:30pm GMT (9:30am EST, 6:30am PST) – with next week seeing the arrival of Summer as we officially welcome the arrival of Series 6 content into the game. Below, we’ll have a look at everything that’s new to discover this week in Forza Horizon 4. 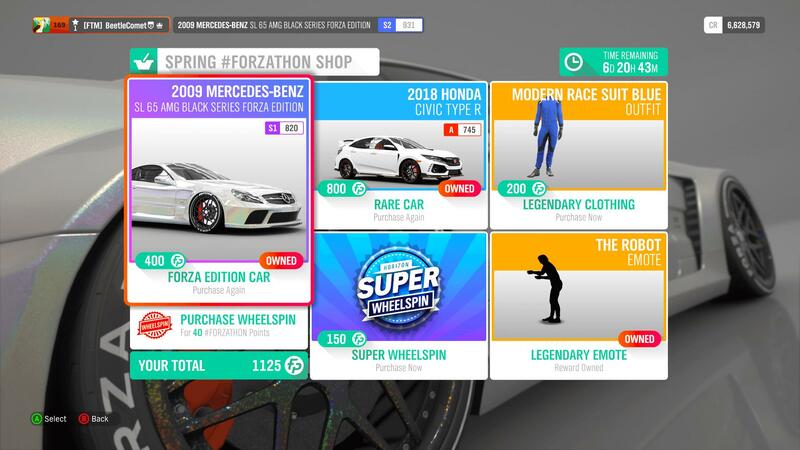 From new types of Seasonal Championships to unmissable new cars, this is your ultimate guide to everything new in Horizon Life this Spring! 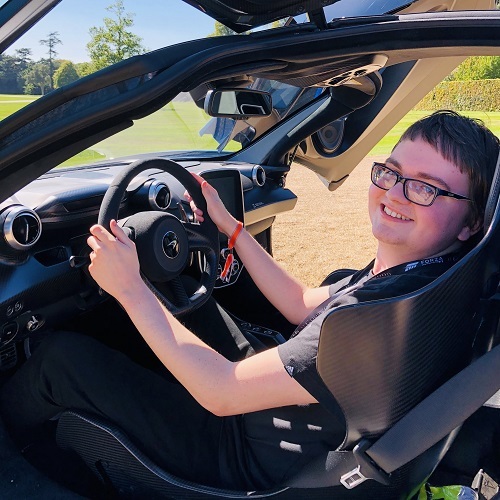 Following in the footsteps of all the Seasonal Championships throughout Series 5, the line-up of Spring experiences in Forza Horizon 4 will have you enjoying a mixture of both community-created events and the usual line-up of curated festival races. Up first is the ‘Spring Community Championship,’ featuring a line-up of race events that have been made using the built-in Route Creator. These events have been handpicked by developer Playground Games and feature the 2005 Hot Wheels Ford Mustang up for grabs. Once you’ve acquired your new drift-worthy machine, be sure to check out the ‘Cart Before the Horse’ for your chance at winning the 2015 Alumi Craft Class 10 Race Car Forza Edition. The Trial is also back in Forza Horizon 4 this week and will see you behind the wheel of your favourite Grand Touring car across the beautiful moorlands. You’ll need to cooperate with 5 other drivers and successfully beat a team of Drivatars set to Unbeatable difficulty to win the Black Modern Race Suit. Elsewhere, the ‘Rally Round’ Seasonal Championship sees you behind-the-wheel of your favourite Modern Rally machine with the Lancia Stratos up for grabs alongside bonus credits and wheelspins. There’s also this week’s Seasonal PR Stunt, which shines the spotlight on The Roman Mile Speed Trap above the Lakehurst Forest with a designated speed target of at least 235mph. Beating the challenges offered by Seasonal PR Stunts will grant you a bonus Wheelspin or Super Wheelspin. 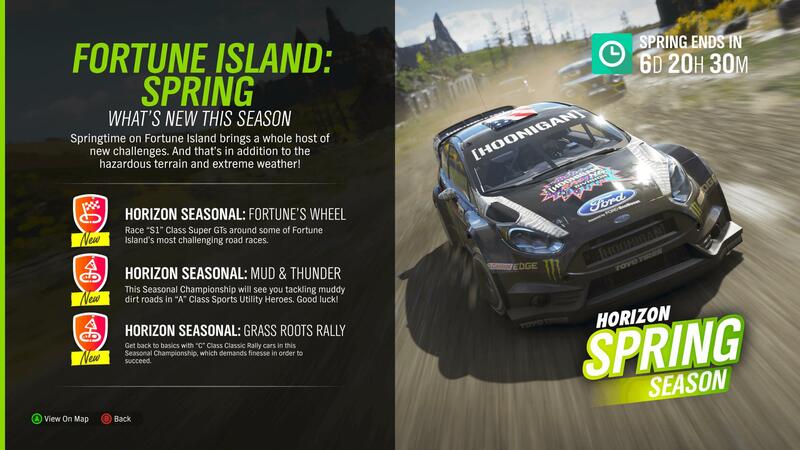 The Spring seasonal fun doesn’t stop on the mainland as Fortune Island has three additional Seasonal Championships for players to check out, including series for asphalt, dirt and cross-country racing. These include S1 Class Super GTs around some of Fortune Island’s most challenging road races in ‘Fortune’s Wheel,’ A Class Sports Utility Heroes tackling muddy dirt roads in ‘Mud and Thunder,’ and finally, C Class Classic Rally cars in the fierce and unpredictable ‘Grass Roots Rally’ Seasonal Championship. Fortune Island also has two bonus Seasonal PR Stunts available to complete this week. The Mountainside Speed Trap tasks you to blitz through it with a velocity of at least 165mph, whilst the Laufey’s Throne Trailblazer Gate challenges players to reach the designated zone with at least 40 seconds or more remaining on the clock. Completing Fortune Island Seasonal Championships and PR Stunts will see you earn additional Wheelspins that can unlock a variety of unique items, including bonus credits, rare cars, vehicle horns and clothing. Fortune Island will continue to receive an assortment of dedicated Seasonal Championships and PR Stunts every Thursday to accompany the mainland season change and these will always remain exclusive to owners of the expansion. This week’s Forzathon event celebrates the iconic history of the 1995 Mitsubishi Eclipse GSX. You’ll likely recognise this car from its presence in the Fast and Furious film franchise. It was Brian’s adored ride and you’re certain to find some matching liveries from the in-game Storefront before taking on this challenge to make it all that bit more special. Once you’re happy with your choice of paintjob, you’ll need to pay homage to the incredible legacy of this car by winning 6 Street Races and 5 Drag Races before earning a total of 5 Showoff Skills. It’s the perfect way to not only celebrate the return of Mitsubishi in Forza Horizon 4, but also a beloved classic that dominated the street racing scene both on and off the screen, as well as a movie hero for many that left our planet far too soon. Every week, the Forzathon Shop replenishes its stock of exclusive cars and clothing items, and this week is no different. 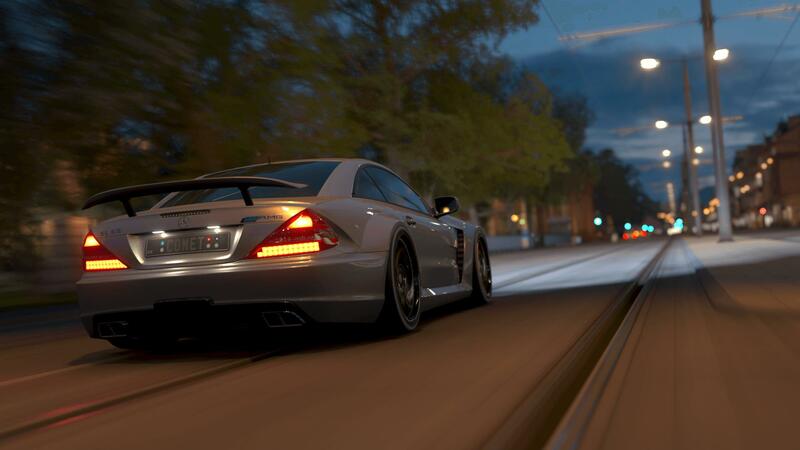 In terms of cars, we have the 2009 Mercedes-Benz SL 65 AMG Black Series Forza Edition for 400 Forzathon Point and the 2018 Honda Civic Type-R available for a costly 800 Forzathon Points. It’s worth noting both cars were previously only acquirable from the Auction House or Wheelspins. Also available this week is the Blue Modern Race Suit for 200 Forzathon Points and The Robot Legendary Emote to equip onto your character. 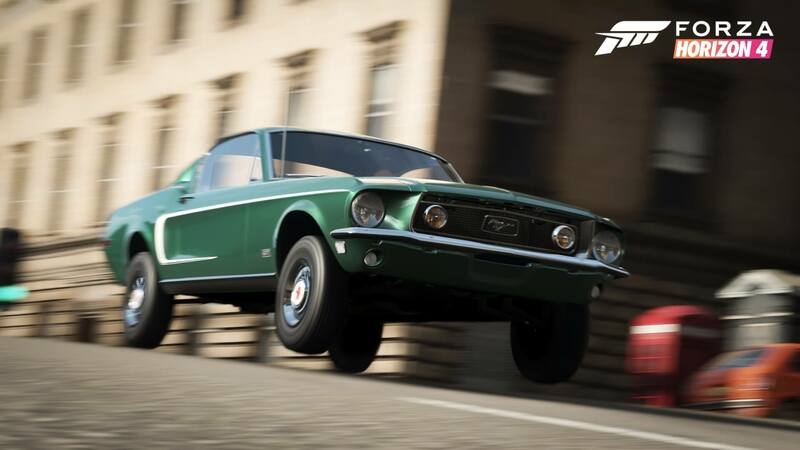 This week’s Car Pass additions include two iconic automobile classics from Ford in the 1960s – the 1968 Ford Mustang GT 2+2 Fastback and the 1965 Ford Transit. The first of these will be instantly recognizable by fans of Steve McQueen who drove it in the classic 1968 car chase action thriller film, Bullitt. Both vintage rides from the American automaker are ready to dominate the British racing scene this week in Forza Horizon 4. 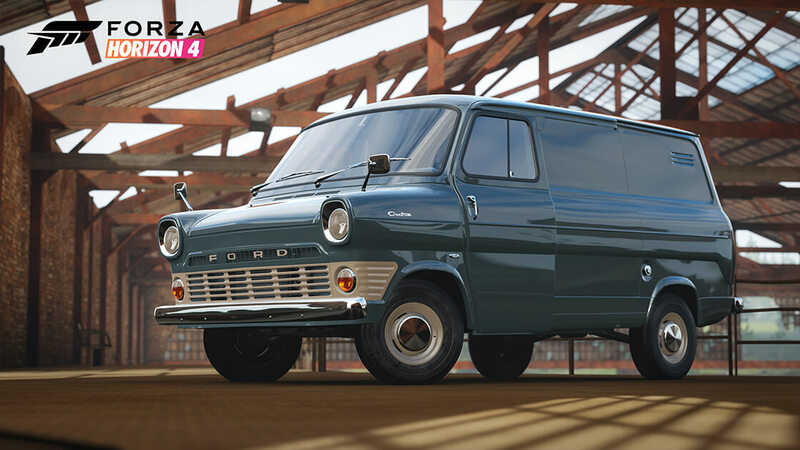 Remember, these classic automobiles are available to add to your in-game garage today at no additional cost if you own the Forza Horizon 4 Car Pass, included in both the Deluxe Edition and Ultimate Edition of the game. It can also be acquired separately and is discounted for Xbox Game Pass subscribers. Experience the Spring season this week in both Forza Horizon 4’s Britain and Fortune Island until Thursday, February 14th. 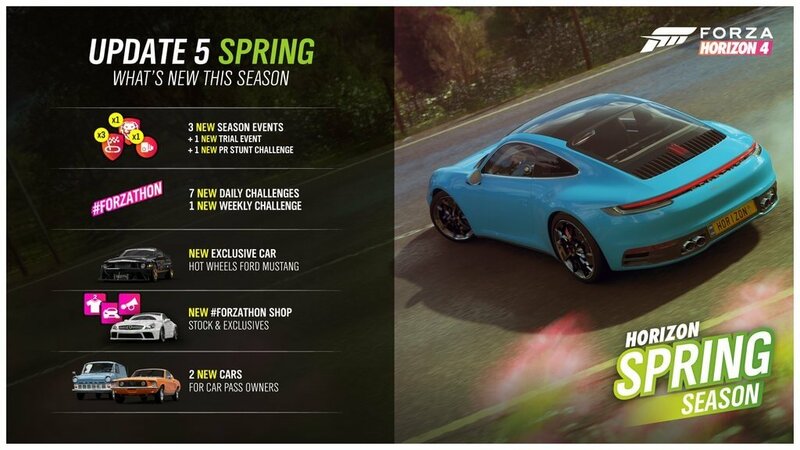 This is when the next seasonal change will occur as we welcome the return of Summer and the arrival of Series 6 content into the shared open-world racing game. 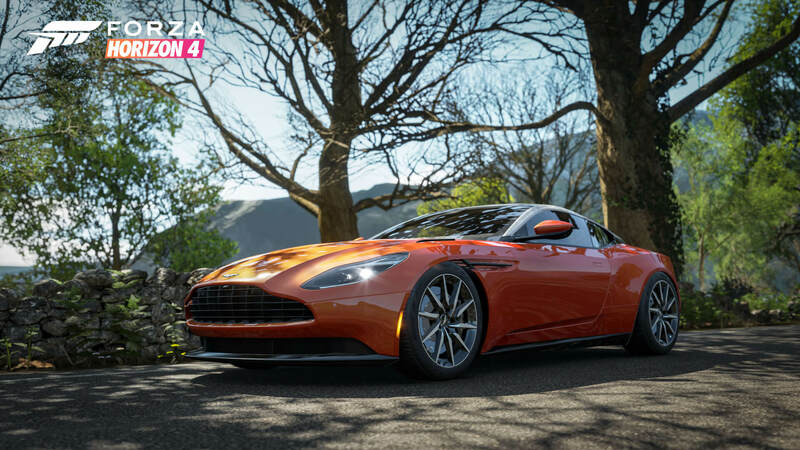 Not only will that mean the usual slate of fresh events, challenges and cars to discover in Britain, but even more features and improvements to enjoy in Forza Horizon 4 – including some exciting additions like the all-new “Skill Streak” Horizon Story and the return of the Quartz Regalia from Final Fantasy XV alongside its off-roading Type-D counterpart. In the meantime, if you missed out on collecting the Spring Barn Find, it’s available to acquire once again over the next seven days. This one is an iconic classic race car in the 1964 Ford GT40, and it can be located by the Moorhead Wind Farm. Find it and it’ll be repaired and added to your Forza Horizon 4 garage once its ready. Furthermore, there’s never been a better time to acquire the latest Horizon Business in Isha’s Taxis. Introduced with the Series 5 Update, this driving-focused Horizon Story will see you collecting fares and dropping them off around Britain whilst making cash in the process.